Devin Haertling, PA-C is a Physician Assistant with a special interest in Sports Medicine. As a Physician Assistant and former Certified Athletic Trainer at the Orthopaedic Center, he is able to provide Orthopaedic assessments, follow-up care, treatments and education for patients. Everything Devin has treated me for is right on. His bed side manner is above what is expected. I would recommend him in everyone. Devin was very patient. He answered all my questions. I never felt rushed or hurried because he had other patients waiting. The focus was on me and my situation. I am will pleased with my service! Devin Haertling, PA-C is a Physician Assistant with special interest in Sports Medicine. 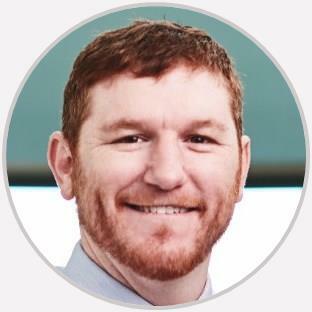 As a Physician Assistant and former Certified Athletic Trainer at the Orthopaedic Center, he is able to provide Orthopaedic assessments, follow-up care, treatments and education for patients. Devin graduated from Saint Louis University, St.Louis, MO., with a Masters of Medical Science in Physician Assistant Studies. He belongs to the American Academy of Physician Assistants [AAPA] and the Illinois Academy of Physician Assistants [IAPA]. During his studies at Saint Louis University, he received the Award of Excellence for Outstanding Achievement and was a member of the Alpha Eta School of Allied Health Professions National Honor Society.